Striking the right balance between industrial cool and domestic elegance can be a delicate business. One designer who gets it spot on is Trentanove Lighting whose bespoke cage lights are made from original vintage materials with glass filament bulbs and cord flex that comes in a range of on-trend colours. Here we meet the makers behind Trentanove – Keith and Aising O’Regan – and find out more about their inspirations and inclinations! Tell us a bit about yourself and your brand / work– how did you come to be a maker? 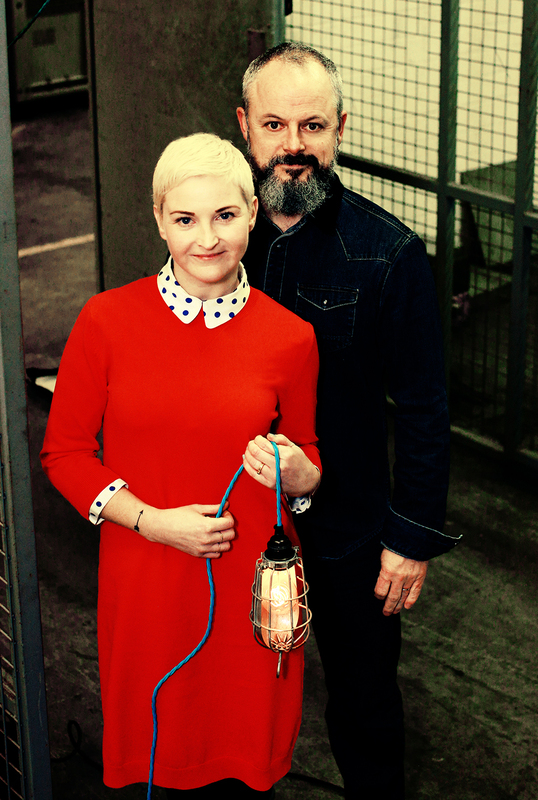 We are a husband and wife team with a huge passion for interiors, specifically lighting. We are both in full time employment but wanted something that we could work on together that allowed us to turn our interests into a business. 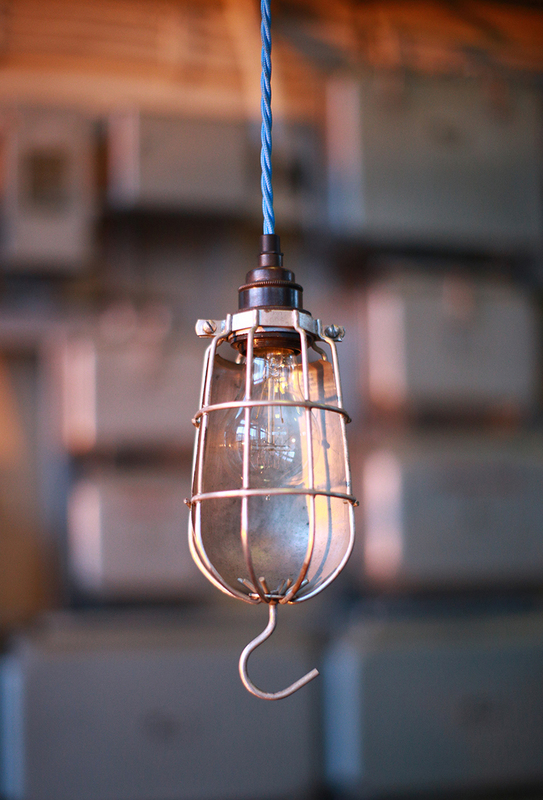 We love the current penchant for all things industrial and the availability of filament bulbs and old trouble cages prompted us to focus on lighting. We came across ReFound on line, made a pitch to have our lights in their store and were successful. Two visits to their Belfast store and meetings with Jill told us we were making the right decision. Can you describe the process behind the making of your work / product? Having a vintage, industrial and re-used element is important to us. We source vintage trouble cages (from 1950s upwards) or vintage shades and combine these with new elements such as woven silk flex and brass or bronze fittings to create unique one off light fixtures. 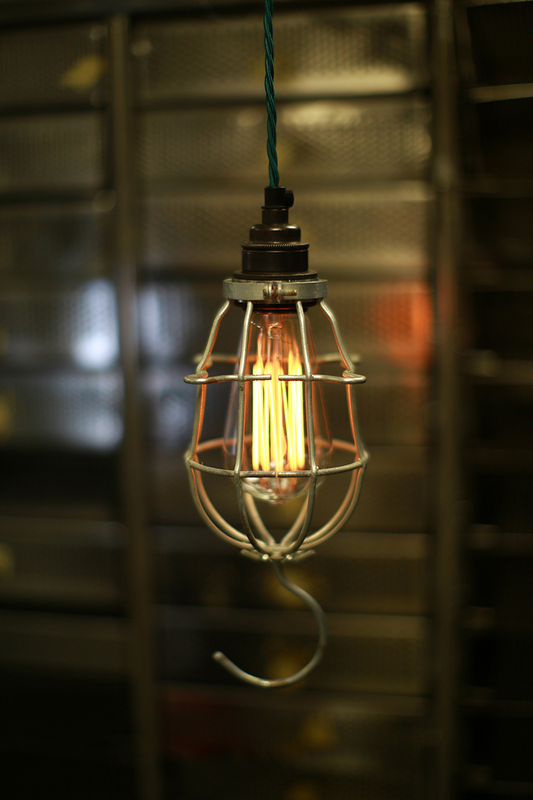 We have a particular fondness for ornate filament bulbs which are used in most of our lights. These bulbs are long life and give out a lovely warm glow creating beautiful mood lighting. We assemble the lights in the front room of our apartment, taking the term cottage industry very literally. How does your product fit into ReFound’s ‘Art of Reclamation’ ethos? We feel the lights are almost art installations in themselves, the combination of the old industrial look with modern fixtures and fittings allow them to stand out independently. The vintage trouble cages are a throwback to a bygone era of industrialism which we reclaim and bring into modern day. The inspiration behind our brand is a love of the industrial and all things associated with it. The availability of beautifully ornate filament bulbs along with the modern take on old silk flex, fixtures and fittings means that we can produce bespoke lighting that’s beautiful and safe but could have been taken out of an old steel factory 70 years ago. The name Trentanove Lighting came from the Italian Trentanove which in English means 39, this is the number of our little bolthole in the Italian mountains. What statement do you think your work makes? The statement our product makes is that Industrial is here to stay, we live in a time of modernism and progression, where forward movement is key to our success, yet for most of us of a particular age we are nostalgic at heart and old items that tell their own story through patina and the ravages of time are a constant source of interest to us. 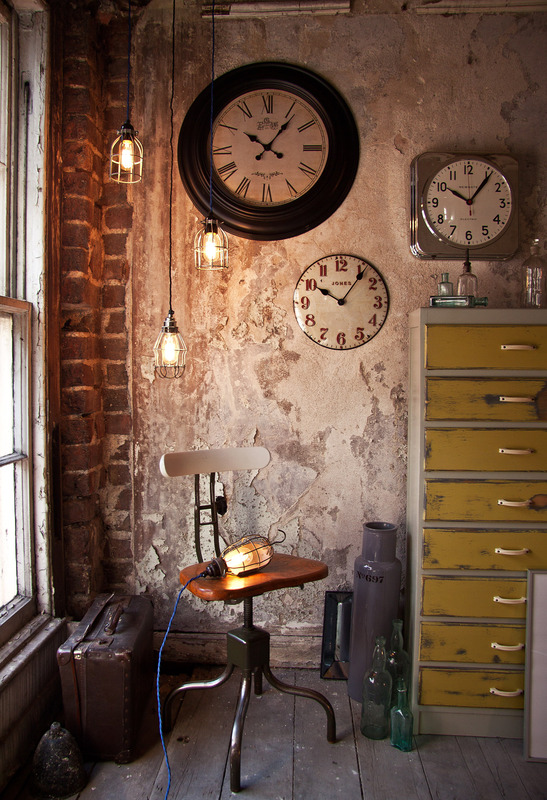 Trentanove Lightings bespoke products are a reflection of the new old. What’s the most rewarding thing about doing what you do? There are a number of rewards in what we do, we really couldn’t confine it to just one. The two that ring most true for us is the opportunity to work side by side as husband and wife, this is a constant joy for both of us, the old adage “Find a job you love and you’ll never work a day in your life” is certainly true in our case. We love what we do and seeing the enthusiasm and energy of our customers in a light we’ve produced is particularly rewarding also, it validates what we do! Thanks to Trentanove and Atelier Design for the images.